For the Italian architect, see Andrea Maffei (architect). 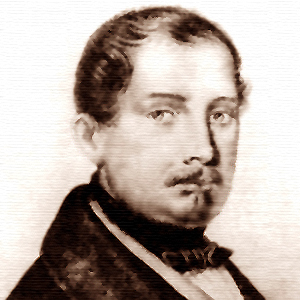 Andrea Maffei (1798 – 1885) was an Italian poet, translator and librettist. He was born in Molina di Ledro, Trentino. A follower of Vincenzo Monti, he formed part of the 19th-century Italian classicist literary culture. Gaining laurea in jurisprudence, he moved for some years to Verona, then to Venice and finally to Milan, where in 1831 he married contessa Clara Spinelli. They separated by mutual consent on 15 June 1846. Molina di Ledro was a comune (municipality) in Trentino in the Italian region Trentino-Alto Adige/Südtirol. On January 1, 2010 it merged in the new municipality of Ledro. It is the most populated frazione of the municipality. It is located about 35 km southwest of Trento. Trentino, officially the Autonomous Province of Trento, is an autonomous province of Italy, in the country's far north. Trento and South Tyrol constitute the region of Trentino-Alto Adige/Südtirol, an autonomous region under the constitution. The province is divided into 177 comuni (municipalities). Its capital is the city of Trento. The province covers an area of more than 6,000 km2 (2,300 sq mi), with a total population of about 540,000. Trentino is renowned for its mountains, such as the Dolomites, which are part of the Alps. As well as Verdi, Maffei also built up close relationships with others in the Italian cultural scene of the time, including Vincenzo Monti, Antonio Rosmini, Gino Capponi, Mario Rapisardi, Carlo Tenca, the painter Francesco Hayez, and the sculptors Vincenzo Vela and Giovanni Duprè. Key cultural figures from the rest of Europe also passed through the lounge of his house in Milan, including Liszt and Stendhal. In 1879 Andrea Maffei was made a senator of the Kingdom of Italy and participated in Italian political life. In the mid-19th century he frequently lived at Riva del Garda, where he organised his rich art collection and where, in 1935, the town's Liceo classico was named after him. Blessed Antonio Francesco Davide Ambrogio Rosmini-Serbati was an Italian Roman Catholic priest and philosopher. He founded the Rosminians, officially the Institute of Charity or Societas a charitate nuncupata, pioneered the concept of social justice, and was a key figure in Italian Liberal Catholicism. Alessandro Manzoni considered Rosmini the only contemporary Italian author worth reading. Marquis Gino Capponi was an Italian statesman and historian of a Liberal Catholic bent. Mario Rapisardi was an Italian poet, supporter of Risorgimento and member of the Scapigliatura. He died in Milan in 1885. Skilled in foreign languages, he translated several works of English and German literature into Italian, particularly the plays of Schiller, Shakespeare's Othello and The Tempest , many works of Goethe (including Faust ) and John Milton's Paradise Lost . In his translations he sought to adapt the author's original thought to that of the Italian literary public. Not only a translator, he was also a poet and Romanticist. For Giuseppe Verdi he wrote the famous libretto for I masnadieri , drawn from Schiller, and re-wrote some verses from Francesco Maria Piave's libretto for Macbeth . He was also a librettist for Pietro Mascagni, writing the texts for his Il Re a Napoli in Cremona (1885) and Guglielmo Ratcliff (1895, from Heinrich Heine's 1822 play William Ratcliff). Paradise Lost is an epic poem in blank verse by the 17th-century English poet John Milton (1608–1674). The first version, published in 1667, consisted of ten books with over ten thousand lines of verse. A second edition followed in 1674, arranged into twelve books with minor revisions throughout and a note on the versification. It is considered by critics to be Milton's major work, and it helped solidify his reputation as one of the greatest English poets of his time. Christian Johann Heinrich Heine was a German-Jewish poet, journalist, essayist, and literary critic. 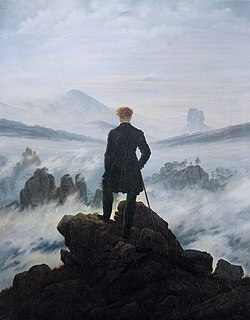 He is best known outside of Germany for his early lyric poetry, which was set to music in the form of Lieder by composers such as Robert Schumann and Franz Schubert. Heine's later verse and prose are distinguished by their satirical wit and irony. He is considered part of the Young Germany movement. His radical political views led to many of his works being banned by German authorities—which, however, only added to his fame. He spent the last 25 years of his life as an expatriate in Paris. Maria Stuarda is a tragic opera, in two acts, by Gaetano Donizetti, to a libretto by Giuseppe Bardari, based on Andrea Maffei's translation of Friedrich Schiller's 1800 play Maria Stuart. Guglielmo Ratcliff is a tragic opera in four acts by Pietro Mascagni to an Italian libretto by Andrea Maffei, translated from the German play Wilhelm Ratcliff (1822) by Heinrich Heine. Mascagni had substantially finished the composition of Ratcliff before the phenomenal success of his first opera, Cavalleria rusticana. Turandot(BV 273) is a 1917 opera with spoken dialogue and in two acts by Ferruccio Busoni. Busoni prepared his own libretto, in German, based on the play by Count Carlo Gozzi. The music for Busoni's opera is based on the incidental music, and the associated Turandot Suite, which Busoni had written in 1905 for a production of Gozzi's play. The opera is often performed as part of a double bill with Busoni's earlier one-act opera Arlecchino. Giovanni Meoni is an Italian operatic baritone. Fabio Ceresa is an Italian opera director and librettist. ↑ Turandot, fola tragicomica di Carlo Gozzi. Imitate da Federico Schiller e tradotte dal cav. Andrea Maffei.